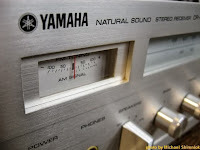 The Yamaha CR-220 Natural Sound Receiver is a medium class receiver from 1978 with decent specs. It was fairly popular at the time and was sold until the early 1980ies. In particular its frontal design is a real eye catcher with the well positioned knobs and switches, the huge AM/FM frequency display and the smaller signal display. Nowadays, the CR-220 model with the brassed metal front is particularly interesting, as it has a compelling vintage look, whereas the alternative black metal design does rather blend in with other receivers from the 1980ies and 90ies. The different popularity of the two designs is also recognizable on ebay, where the brassed metal version sells on average for about 20% more than the black metal version. 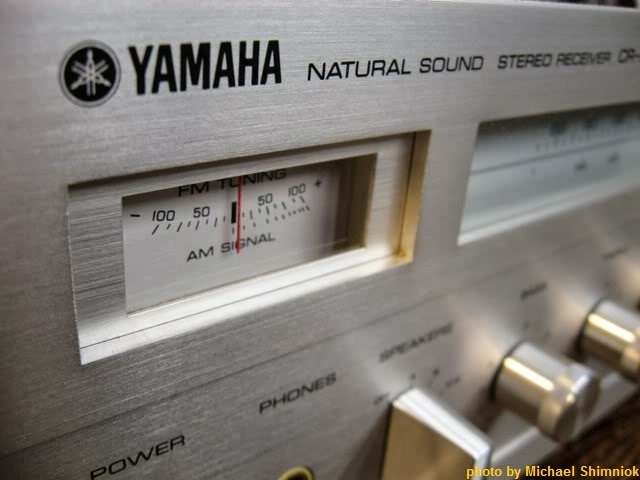 During its first year Yamaha offered this receiver for around $240, which positioned the CR-220 slightly above most other intermediate class receivers. The CR-220 has 15 Watts per channel at 4 ohms, which is lower than some other receivers one could find for the price. However, the CR-220 receiver has commonly astonished listeners by its clear sound and outstanding performance and can compete with most modern receivers in its class. 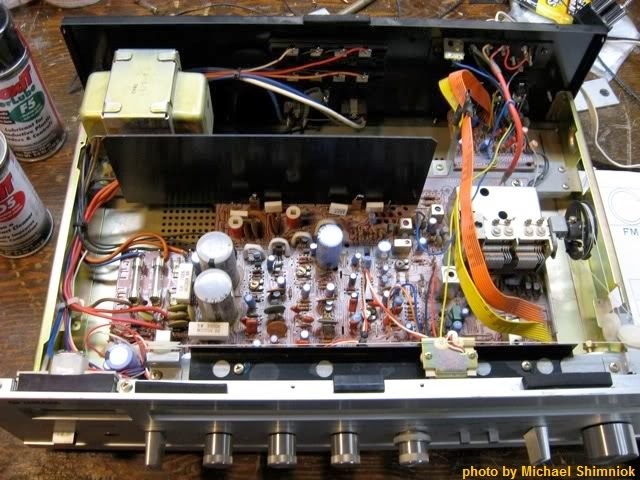 The CR-220 is a great receiver with great performance, but with an age of nearly 35 years some typical issues can occur that should be dealt with correctly. The most typical issue that one will recognize is a broken light. CR-220 light bulbs are unfortunately a little special, as they are 14volt 80mA T1-1/4 bulbs and therefor different from most other Yamaha lamps. After you found the correct lamps, it is luckily not difficult to install them. Another typical issue for many receivers of this age is oxidation. Metal connectors oxidize over time, which reduces their electric conductivity. One will hear this by loud, scratchy noises. To help with this issue, simply use a deoxidant, such as DeOxit, and apply it carefully on the typical spots, but never on relays! If you are wondering what the typical spots are, you should google for a DeOxit guide that teaches you how to use it on your receiver. In particular potentiometers (pots), switches, RCA and all socket contacts can usually benefit from some DeOxit spray. In case you simply want to do something good for your CR-220 you can solidify its ground path, which can work wonders. Simply unplug the receiver and unscrew the bottom cover. After you removed the cover, you can see the screws that hold the circuit board to the heatsink rail. Unscrew those screws, take off any oxidation and shine them up. You can use a small grit file to do so. Afterwards reinstall them, using toothed lockwashers. At last you should open the top of the receiver and tighten all screws that connect the heatsink rail with the chassis. You can read more about this method here.